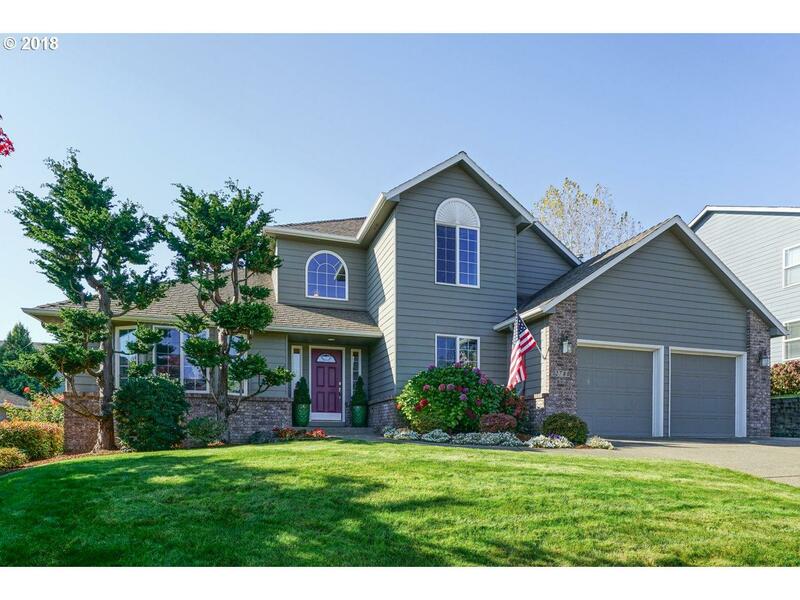 Beautiful, well maintained 2 story Home in heart of West Salem Hills, great for entertaining! Light & Bright kitchen w/island & dining area that opens to warm & inviting family rm w/custom built in surrounding handmade tiled gas FP. Formal DR/LR. Master Suite w/ full Master bath w/jetted tub, double sinks, separate shower/toilet closet & WIC. Walk in access to attic for easy storage. Covered patio looks out to landscaped level yard.